b. 29 Mar. 1799, 1st s. of Edward Smith Stanley, Lord Stanley* (later 13th earl of Derby), and Charlotte Margaret, da. of Rev. Geoffrey Hornby, rect. of Winwick, Lancs. educ. Eton 1811; Christ Church, Oxf. 1817, DCL 1852; continental tour 1821-2, N. American tour 1824-5. m. 31 May 1825, Emma Caroline, da. of Edward Bootle Wilbraham*, 4s. (2 d.v.p.) 2da. (1 d.v.p.). styled Lord Stanley 1834-44; summ. to Lords in his fa.’s barony as Lord Stanley of Bickerstaffe 4 Nov. 1844; suc. fa. as 14th earl of Derby 30 June 1851; KG 28 June 1859; GCMG 25 Mar. 1869. d. 23 Oct. 1869. Under-sec. of state for war and colonies Sept. 1827-Jan. 1828; PC 22 Nov. 1830, PC [I] 10 Jan. 1831; chief sec. to ld. lt. [I] Nov. 1830-Mar. 1833, with seat in cabinet June 1831; sec. of state for war and colonies Apr. 1833-May 1834, Sept. 1841-Dec. 1845; first ld. of treasury 27 Feb.-28 Dec. 1852, 26 Feb. 1858-18 June 1859, 6 July 1866-29 Feb. 1868. Ld. rect. Glasgow Univ. 1834-6; Sloane trustee, Brit. Mus. 1835-66; chan. Oxf. Univ. 1852-d.; elder bro. Trinity House 1852-d.
His first known votes were given against the military and naval pensions bill, 14 Apr., and for repeal of the Foreign Enlistment Act, 16 Apr. 1823. Like his father, who presumably took him under his wing, he was in the majorities for inquiry into the legal proceedings against the Dublin Orange rioters, 22 Apr., and against another into the currency, 12 June. He divided for parliamentary reform, 24 Apr. 1823, and alteration of the representation of Edinburgh, 26 Feb. 1824, 13 Apr. 1826. He voted for inquiry prior to the introduction of the Irish insurrection bill, 12 May, and to condemn the conduct of the lord advocate in the Borthwick case, 3 June 1823, and the lord chancellor over a breach of privilege, 1 Mar. 1824. He may sometimes have been confused in the parliamentary reports with Lord Stanley, who was more assiduous on local business, but on 25 Mar. 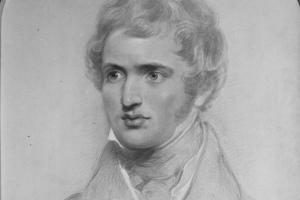 he brought up several Lancashire anti-slavery petitions and one from Preston against the combination laws; having reverted to the latter the following day, he accepted the congratulations offered afterwards by Canning, who wrote to his wife on the 28th that ‘they tell me he is by no means violently hostile’.9 He made an admirable maiden speech, defending his father’s handling of the Manchester gas light bill, 30 Mar., when Sir James Mackintosh publicly praised him and Hudson Gurney* privately recorded that he was ‘the most promising practical beginner I have heard’.10 To his grandfather’s distress, he spoke and voted against Hume’s motion attacking the Irish church establishment, 6 May, after which Charles Williams Wynn*, president of the India board, commented that it was ‘the fashion of the opposition to bemoan the hard fate of poor Lord Derby in seeing his grandson act for himself and profess so much attachment to the church; his speech was really first rate’.11 He slightly qualified his remarks, 11 May, when he was named to the select committee on the state of Ireland, and that month it was stated that George Tierney*, the former Whig leader, ‘raves of his cleverness and promise’.12 He voted with opposition to condemn the trial of the Methodist missionary John Smith in Demerara, 11 June 1824. In what was politely considered a wild scheme, Smith Stanley and the other young ‘fashionables’ John Evelyn Denison*, Henry Labouchere* and John Stuart Wortley* left England in June 1824 for an extensive and reflective tour of the United States and Canada.13 He returned early the following year with a marked aversion to slavery and a sense of regret that, unlike the potential solution available of establishing a Catholic church in Canada, no such arrangement could be made in Ireland without endangering the Protestant religion there.14 Anxious to be back before any possible dissolution, he was present to vote for Catholic relief, 21 Apr., 10 May 1825. According to his notebook of parliamentary proceedings, he divided to raise the elective franchise in Ireland, of which he wrote that he ‘would have voted for it independently of the Catholic question’, 26 Apr., and for paying Catholic priests, the other proposed ‘wing’, 29 Apr.15 He was in the minority against the grant for the duke of Cumberland, 27 May 1825. Derby having waived any objections to his taking the daughter of a Tory neighbour in wedlock, he married on the 31st and for a time resided on the family estate at Ballykisteen, county Tipperary, where he rebuilt the mansion house. Although living in isolation there, he further developed his interests in Irish affairs, especially about the parlous state of the poor and the iniquities of tithe-holders and non-resident landlords, which he hoped could be partially alleviated through schemes of assisted emigration. Intending to remain at his father-in-law’s till after the start of the new session, he doubted there would be much to dispute in Parliament.16 Apart from moving the unsuccessful wrecking amendment against the Liverpool and Manchester railway bill, 6 Apr., his only significant speech that year was on 8 May, in support of the ministerial plan for the emergency admission of foreign corn, to which he briefly urged a minor amendment, 11, 12 May 1826. Yet Wellington’s declaration against reform, 2 Nov., killed the negotiation, and Smith Stanley, who early the previous month had been advocating a stronger Whig union under Grey, at once became involved in the opposition preparations for Brougham’s reform motion (on the 16th), which was expected to decide the duke’s fate.50 He raised the expense of the Rideau Canal, 5 Nov., and the salary of the clerk of the council, 15 Nov. 1830, when, having been listed earlier by ministers among their ‘foes’, he divided in the majority on the civil list, which precipitated their resignation. He defended schedule B and denied that the representation of agricultural areas would suffer by it, 2 Aug. 1831. Optimistic about the prospects for reform, Smith Stanley, who was considered by Greville to hold the balance of power in the cabinet on the issue, sided with the moderates against asking the king for the immediate creation of 15 peers, 2 Jan. 1832.90 Rightly believed that month to be at loggerheads with a resentful Anglesey and to be willing to resign rather than to allow the spoliation of the Irish church, Ellenborough speculated that he might join a ‘Waverer’ administration and that ‘if he would lead the House of Commons, they would make a very strong government and put Peel aside’.91 However, he again advocated reform on reintroducing the Irish bill, 19 Jan., when he explained the reasons for the additional five seats and the use of the ‘beneficial interest’ test, among other alterations, and insisted that the Protestant interest would not be overwhelmed by the increased Catholic electorate.92 Exercising a strict control over the proceedings in the committee on tithes, the subject which earned him the sobriquet ‘scorpion Stanley’ that year, he defended the decision to exclude Catholic Members from it against O’Connell’s objections, 24 Jan.93 He dealt with complaints about the fees levied on Irish magistrates for renewing their commissions that day and again on 7 Feb., when Holland recorded that he showed his usual ‘acuteness, self-possession, judgement and authority’.94 According to Littleton’s account of the debate on Portugal, 9 Feb.
Whatever his personal reservations, he spoke twice for the second reading of the Irish reform bill, 25 May, and defended the use of the royal prerogative of creating peers, 5 June. Immersed in the details of the Irish measure, he repelled O’Connell’s attempts to restore the county qualification to 40s. or at least lower it to £5 freeholders, 13, 18 June, and clashed with him over the leaseholder and freeman franchises, 25 June, 2 July. He provoked Protestant Tory opposition to his Irish party processions bill, 14, 25 June, but after announcing its postponement, 29 June, managed to carry it against last ditch resistance in the committee, 8 Aug. He expressed his sympathy for Sadler’s motion to make provision for the Irish poor by a tax on absentees, but carried the previous question against it, 19 June. He attacked Peel for introducing party political considerations into the debate on the Ascot attack on the king, 20 June. O’Connell having threatened to have him impeached in the reformed Parliament, he made a lengthy rejoinder on his conduct towards Ireland during his speech vindicating government over the Russian-Dutch loan, 20 July, and reacted angrily to the Preston anti-tithes petition, got up by Hunt and presented by Sheil, which called for his removal from office, 3 Aug. 1832. On his death in October 1869 he was succeeded in his title and estates by his eldest son Edward Henry (1826-93), who served under him and Disraeli as foreign secretary, but joined the Liberals in 1879 before ending his days a Unionist. Apart from short lives by T. E. Kebbel (1890) and G. Saintsbury (1892), for many years the only study was W.D. Jones, Lord Derby and Victorian Conservatism (1956). 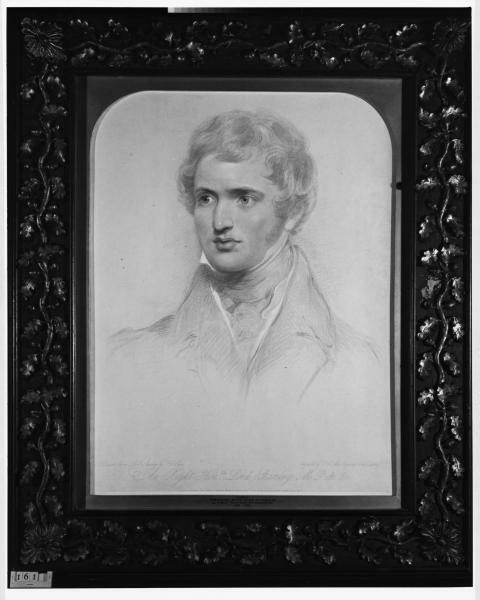 However, there is now The Forgotten Prime Minister: The 14th Earl of Derby, i Ascent: 1799-1851 (2007) by Angus Hawkins, in addition to his article on ‘Lord Derby’ in Lords of Parl. ed. R.W. Davis, 134-62, and his entry on Derby in Oxford DNB. 1. The Times, 25 Oct. 1869. 2. Hawkins, Forgotten Prime Minister, i. 5-18, 46-48; Disraeli, Derby and Conservative Party ed. J. Vincent, 184; Conversations on Parables of New Testament (1828); B. Hilton, Age of Atonement, 237-8. 3. Add. 51645, Smith to Lady Holland, 21 Oct. ; Ellenborough Diary, ii. 71; Greville Mems. iii. 53. 4. Manchester Mercury, 29 Feb. 1820; Lancs. RO, Whittaker of Simonstone mss DDWh/4/99; W. Dobson, Hist. Parl. Rep. Preston (1868), 70. 5. Nottingham Univ. Lib. Ossington mss OsC 10; Bucks. RO, Fremantle mss D/FR/46/10/46; Derby mss 920 Der (13) 1/161/21; Grosvenor mss 9/13/20-25; Hawkins, Forgotten Prime Minister, i. 28-31. 6. Salisbury and Winchester Jnl. 5 Aug. 1822; Creevey Pprs. ii. 40. 7. Lansdowne mss, Smith Stanley to Lansdowne, 29 Aug., 20 Sept.; Derby mss (14) 115/1, Lansdowne to Smith Stanley, 12 Sept. 1822. 8. A. Hawkins, ‘Lord Derby and Victorian Conservatism: A Reappraisal’, PH, vi (1987), 281-5; ‘Lord Derby’, 136-40, and Forgotten Prime Minister, i. 22-28. 9. The Times, 26, 27 Mar. 1824; Harewood mss WYL 250/8/27. 11. Creevey Pprs. ii. 76; Buckingham, Mems. Geo. IV, ii. 73-74. 12. Countess Granville Letters, i. 294. 13. ‘Pope’ of Holland House ed. Lady Seymour, 250-1. 14. E. Stanley, Jnl. of Tour in America (1930); Jones, 8-10; Hawkins, ‘Lord Derby’, 141, and Forgotten Prime Minister, i. 33-43. 15. Lansdowne mss, Smith Stanley to Lansdowne, 11 Dec. 1824, 10 Feb. 1825; Derby mss (14) 2/3. 16. Ossington mss OsC 19, 25; Derby mss (14) 115/4, Smith Stanley to Forster, 14 Nov. 1825. 17. The Times, 3 May, 8, 13, 17, 24, 28 June; Lancs. RO, Disputed elections QDE/12, bdle. 1, Horrocks to Derby, 19 June, reply, 23 June, Smith Stanley to Horrocks, 21 June 1826; Preston Election 1826, pp. 3, 47, 121-3; T. Aspden, Hist. Sketches of House of Stanley, 49-57. 18. Derby mss (14) 2/3. 19. A. Aspinall, Lord Brougham and Whig Party, 280. 20. Derby mss (14) 2/3. 21. Ibid. (12), Stanley to Derby [June, July]; (14) Canning to Smith Stanley, 26, 27 June; Add. 51566, Derby to Holland, 14 July 1827; Canning’s Ministry, 337; Hawkins, Forgotten Prime Minister, i. 55-56. 22. NLW, Coedymaen mss 202, 715; Chatsworth mss 6DD/GP1/1577; Add. 38750, ff. 22, 180, 231, 270; 38751, f. 325; 51687, Lansdowne to Holland, 2, 5 Sept.; 52011, Stuart Wortley to Fox, 17 Nov.; Lansdowne mss, Abercromby to Lansdowne [Sept.], Goderich to same, 3, 13 Sept., Macdonald to same, 21 Oct. 1827. 23. HMC Bathurst, 651; Howard Sisters, 98; Southampton Univ. Lib. Broadlands mss BR23AA/5/1; Harrowby mss. 24. Add. 38754, f. 221; Lady Holland to Son, 67, 75, 149. 25. Add. 40307, f. 50. 26. Keele Univ. Lib. Sneyd mss SC12/86; 17/178. 27. Derby mss (14) 62, Palmer to Smith Stanley, 22 Feb., 8 Mar. ; Lancs. RO DDPr 130/13, reply, 2 Mar. 1828. 28. Derby mss (14) 2/3; TNA 30/29/9/5/67. 29. Ellenborough Diary, i. 113, 128, 139; Lady Holland to Son, 86. 30. Derby mss (14) 2/3. 31. Hawkins, Forgotten Prime Minister, i. 58-61; Sir James Graham mss (IHR microfilm XR 80), 1, bdle. 2, Graham to Smith Stanley, 15 July 1828; Parker, Graham, i. 71. 32. Ellenborough Diary, i. 230; Russell Early Corresp. i. 282. 33. NLS mss 24770, f. 29; Add. 51834, Davenport to Holland, 18 Nov.; 51574, Abercromby to same, 19, 26 Nov. 1828; A. Mitchell, Whigs in Opposition, 211-12. 34. Brougham mss, Russell to Brougham, 15 Dec., Lansdowne to same, 26 Dec.; Lansdowne mss, Smith Stanley to Lansdowne, 31 Dec. 1828; Add. 51687, Lansdowne to Holland, 4 Jan. ; Hawkins, Forgotten Prime Minister, i. 62-63. 35. Ossington mss OsC 63, 79. 36. Grey mss, Howick jnl. ; Arbuthnot Jnl. ii. 240. 37. Derby mss (14) 63, Denison to Smith Stanley [Feb.], Lord Stanley to same [?20 Feb. 1829]. 38. Ibid. Derby to Smith Stanley, 8 Mar. ; Brougham mss, latter to Brougham, 20 Mar. 1829. 39. Ellenborough Diary, ii. 60; NLW mss 10804 D/3, Williams Wynn to Bentinck, 16 June; Albion, 24 Aug. 1829; Countess Granville Letters, ii. 56. 40. Palmerston-Sulivan Letters, 234-5; Broadlands mss BR23AA/5/6. 41. Creevey Pprs. ii. 203. 43. Castle Howard mss, Graham to Morpeth [3 Mar. 1830]. 45. Ibid. 11 July; Derby mss (14) 117/3, Althorp to Smith Stanley, 5 July 1830; Ellenborough Diary, ii. 290, 297, 299, 301-2, 316; Mitchell, 229-30. 46. The Times, 2, 3, 9 Aug. 1830; Aspden, 63-64. 47. Derby mss (14) 116/1, Brougham to Smith Stanley [Sept.]; St. Deiniol’s Lib. Glynne-Gladstone mss 196, T. to J. Gladstone, 17 Sept.; 243, Grant to same, 17 Sept. 1830. 48. Ellenborough Diary, ii. 347, 362-3. 49. Parker, Peel, ii. 163-6; J. R. M. Butler, Passing of the Great Reform Bill, 96. 50. Brougham mss, Smith Stanley to Brougham, 2 Oct.; Grey mss, Durham to Grey, 4 Oct.; Howick jnl. 7 Nov.; Add. 51564, Brougham to Holland [8 Nov.] 1830; 56555, ff. 42, 46; Hants RO, Carnarvon mss 75M91/E4/82; Mitchell, 244. 52. Derby mss (14) 116/8, Hardinge to Smith Stanley, 22 Nov.; 116/1, Brougham to same [Nov., Dec.] 1830. 53. Ibid. 116/6, Winstanley to Smith Stanley, 18, 22, 28 Nov.; 117/5, Grey to same, 10, 14 Dec.; The Times, 11, 13, 16, 18 Dec. 1830; CJ, lxxxvi. 119, 134-5. 54. Greville Mems. ii. 94; Broughton, Recollections, iv. 77; PRO NI, Anglesey mss D619/31D/6; Brougham mss, Shepherd to Brougham, 8 Feb. 1831. 55. The Times, 21, 27, 28 Dec. 1830; Aspden, 66-67; William IV-Grey Corresp. i. 20-21, 32-33, 45-46. 56. Windsor and Eton Express, 12 Feb. 1831. 57. Add. 51566; Anglesey mss 29B, pp. 37-38; Dublin Evening Post, 13 Jan. 1831. 58. New Monthly Mag. xxxii (1831), 112. 59. T.M. Torrens, Life and Times of Sir James Graham, i. 321-2; Disraeli, Derby and Conservative Party, 223-4; Jones, 19-21; Hawkins, Forgotten Prime Minister, i. 77-79, 90-91. 60. Anglesey mss 31D/13-23, 27. 61. Ibid. 27A/104; 31D/23-25; Creevey Pprs. ii. 219; Three Diaries, 56, 60. 63. Anglesey mss 28A-B/47; 28C, pp. 81-82; 31D/28-30; Bunbury Mem. 160; Three Diaries, 63, 65-66; Greville Mems. ii. 125; Hawkins, Forgotten Prime Minister, i. 81-82. 64. Brougham mss, Smith Stanley to Brougham, 5 Mar. ; Grey mss, to Grey [10 Mar.] 1831; Hawkins, Forgotten Prime Minister, i. 82. 65. Anglesey mss 31D/35-37; Three Diaries, 80; Hawkins, Forgotten Prime Minister, i. 85-86. 66. Unrepentant Tory ed. R.A. Gaunt, pp. xxi, 38, 139, 148; Add. 51573, Rice to Holland [19 Apr. ]; Glynne-Gladstone mss 198, T. to J. Gladstone, 20 Apr. 1831. 67. Derby mss (14) 121/2, Gosset to Smith Stanley, 25 Apr. ; 116/9, Hodgson to same, 9 May; Preston Chron. 30 Apr. ; Windsor and Eton Express, 30 Apr. 1831; New Windsor Election 1831, pp. 4-5, 9-10, 16-28; Wellington mss WP1/1207/1. 68. Grey mss; Hawkins, Forgotten Prime Minister, i. 86-87. 69. Derby mss (14) 117/5, Grey to Smith Stanley, 27 May 1831; Arbuthnot Jnl. ii. 425; Hawkins, Forgotten Prime Minister, i. 86, 88. 70. Anglesey mss 28A-B/62, 63; 31D/42, 43; Hawkins, Forgotten Prime Minister, i. 88. 72. Le Marchant, Althorp, 326. 73. Anglesey mss 27A/120, 122; TNA, Granville mss, Holland to Granville, 19 July ; O’Connell Corresp. iv. 1825. 74. Anglesey mss 31D/42, 46. 76. Ibid. 28C, pp. 159-63; Add. 56555, f. 176. 77. Anglesey mss 31D/55; Holland House Diaries, 14, 26-27, 29, 33; Hawkins, Forgotten Prime Minister, i. 92-93. 78. Derby mss (14) 119/1/2, Anglesey to Smith Stanley, 20, 26 Aug. 1831; Anglesey mss 31D/57. 79. Anglesey mss 31D/59; Hawkins, Forgotten Prime Minister, i. 93-95. 80. Anglesey mss 27B, pp. 47-53; 31D/68. 81. Coedymaen mss 218; Holland House Diaries, 44-46; M. Brock, Great Reform Act, 236; Hawkins, Forgotten Prime Minister, i. 96. 82. Derby mss (14) 127/3; Brock, 246-7; Hawkins, Forgotten Prime Minister, i. 97-98. 83. Sir James Graham mss 1, bdle. 7, Smith Stanley to Graham, 27 Oct. 1831; Broadlands mss PP/GC/DE/61; RI/11. 84. Holland House Diaries, 68; Brougham mss, Holland to Brougham, 27 Oct.; Grey mss, Smith Stanley to Grey, 23 Oct. 1831; TCD, Donoughmore mss. 85. Broughton, iv. 151; O’Connell Corresp. iv. 1853-4. 86. Holland House Diaries, 81-82; Grey mss, Smith Stanley to Grey, 22 Nov. 1831; Hawkins, Forgotten Prime Minister, i. 98. 87. Holland House Diaries, 88, 90-91, 95; Anglesey mss 27A/139; Hawkins, Forgotten Prime Minister, i. 99-101. 88. Howard Sisters, 228; O’Connell Corresp. iv. 1861. 89. Three Diaries, 169-72; Greville Mems. ii. 230-1; Broughton, iv. 156; Life of Campbell, i. 526; ii. 3; Holland House Diaries, 97, 99; Le Marchant, 383; Baring Jnls. i. 91; NLW, Ormathwaite mss FG1/5, p. 242; M. D. George, Cat. of Pol. and Personal Satires, xi. 16834. 90. Anglesey mss 31D/77; Parker, Graham, i. 134-5; Greville Mems. ii. 234, 240. 91. Arbuthnot Jnl. ii. 440; Personal Recollections of Lord Cloncurry, 438; Three Diaries, 178, 186; Hawkins, Forgotten Prime Minister, i. 105-6, 109. 92. K.T. Hoppen, ‘Politics, the law, and nature of Irish electorate’, EHR, xcii (1977), 746, 757-8, 761, 772. 93. W.J. Fitzpatrick, Life, Times and Corresp. of Dr. Doyle, ii. 394, 404-5; A.D. Kriegel, ‘Irish Policy of Lord Grey’s Government’, EHR, lxxxvi (1971), 29-30. 94. Holland House Diaries, 126. 96. Add. 75941, Althorp to Spencer, 17 Mar. 1832; Three Diaries, 211; Baring Jnls. i. 93. 97. Greville Mems. ii. 272; Three Diaries, 215. 98. Add. 52058, C.R. to H.E. Fox, 11 Mar., n.d. [Mar.] 1832. 99. CJ, lxxxvii. 122, 175, 185, 227, 232, 237, 242-4, 254, 260, 279, 352, 360, 362, 363, 374, 462-3, 488, 491, 502, 519, 541, 544, 552, 560, 591; PP (1831-2), xxi. 1-540; Kriegel, 30-31; Hawkins, Forgotten Prime Minister, i. 106-8, 113-14. 100. P. Ziegler, King William IV, 197; Derby mss (14) 100/2/1, p. 113. 101. Le Marchant, 429; Raikes Jnl. i. 31; Three Diaries, 251, 261; Disraeli, Derby and Conservative Party, 4-5. 102. Arbuthnot Corresp. 166; Devon RO, Acland mss 1148M/21 (iv) 25. 103. The Times, 3, 20 Dec. 1832. 104. Greville Mems. ii. 374; [J. Grant], Random Recollections of Commons (1837), 158-63; New Monthly Mag. xxxii (1831), 113-14; Argyll Mems. i. 153. 105. Macaulay Letters, ii. 90. 106. Russell, Recollections, 91, 92. 108. Holland House Diaries, 198, 200, 202; Greville Mems. ii. 310; Creevey Pprs. ii. 265; Mq. of Anglesey, One-Leg, 259-70, 277; Kriegel, 31-33; Hawkins, ‘Lord Derby’, 139-40, 143-5, and Forgotten Prime Minister, i. 75-76, 91-92, 104-6, 114-16. 109. Le Marchant, 452; Parker, Graham, i. 174-81; Greville Mems. ii. 366; Kriegel, 33-40; E.A. Smith, Lord Grey, 294-302; Hawkins, Forgotten Prime Minister, i. 114-27. 110. R. Stewart, Foundation of Conservative Party, 111-17, 223. 111. Gladstone Autobiog. Memoranda ed. J. Brooke and M. Sorenson, 25, 102. 112. The Times, 25 Oct. 1869; Ann. Reg. (1869), Chron. pp. 158-61; DNB; Oxford DNB; J.J. Bagley, Earls of Derby, 164-91. 113. Taylor Autobiog. i. 131.